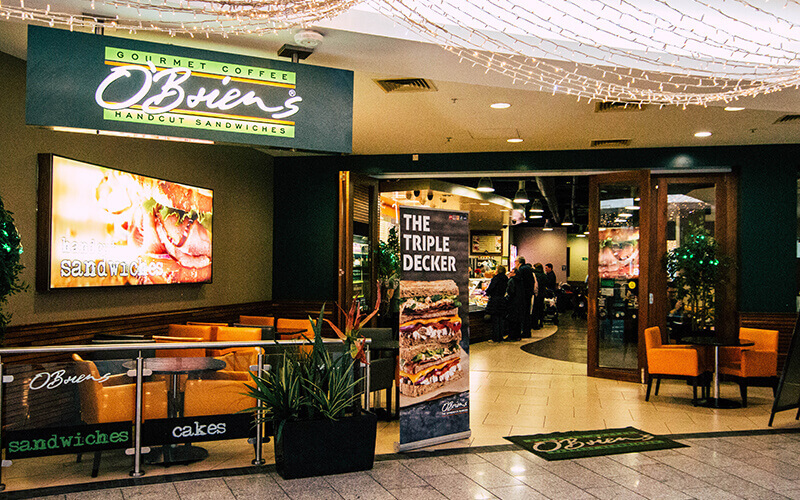 O’Briens has more than 300 stores providing the healthy food option in 13 countries across Europe, Asia, Australia and Africa. Our reputation has been shaped on our famous made-to-order hot or cold sandwiches – ShambosTM, Tripledecker®, Wrappos® and Toosties® – literally built to each customer’s taste. The extensive selection includes gourmet coffees, fresh soups, patisseries, deli dishes, salads, snacks and a wide range of soft drinks, including freshly made smoothies and juices from the instore juice bar offerings.